Have you ever thanked God for the thorns in your life? In her radio series, “The Blessing of Thorns,” Nancy DeMoss Wolgemuth shows how our afflictions can be the tool God uses to make us like Jesus. This discussion guide was developed to complement “The Blessing of Thorns” radio series which y ou can order on two CDs by visiting the Revive Our Hearts store at www.ReviveOurHearts.com. Use this devotional plan with your small group or church Bible study group for the four weeks leading up to Thanksgiving to give them a deeper appreciation for the purposes of God behind the hard times that come into our lives . This series includes a moving drama to share with your whole group. Play the Drama Reading from the CD. Discuss the drama, especially how the story impacts the listeners’ lives. Why are thorns true gifts from God? How do thorns show us the “beauty of God’s comfort”? How can thorns make the “roses” of life more precious? What is a “thorn” in human experience? What does it mean to see our thorns from heaven’s point of view? When did thorns come into the world? What are some minor thorns in life? What are some major thorns in life? Thorns press in on us and “squeeze” us. What thorn is squeezing you? How does God transform our thorns? Play Part One of Nancy’s teaching. Memorization: Commit to memorizing/reviewing 2 Corinthians 9:8 during the weeks prior to Thanksgiving. Introduction: Display a “bouquet” of thorny stems to remind the class of the drama from the previous week. Have the women list as many “thorns” (circumstances and relationship situations) as they can (to help solidify what qualifies as a thorn). Memorization: Review 2 Corinthians 9:8. Play Part 2 of Nancy’s teaching material. How can a person have overflowing joy in the midst of a thorn experience, like the Apostle Paul? What do you think is God’s “big picture” purpose for your own thorny situations? Some thorns go on and on, and we are tempted to lose heart. What will help us press on? What was the apostle Paul’s response to afflictions? How can a person have overflowing joy in the midst of a thorny experience? What do you think is God’s “big picture” purpose for your thorny situation? How valuable are your thorns in making you more like Jesus Christ? Play Part 3 of Nancy’s teaching material. If a thorn is a “messenger of Satan,” is he the ultimate cause? What should be your response to any thorn that God chooses not to remove after much prayer? Is it possible for a Christian to obey and serve the Lord and still experience thorny afflictions? How so? What was Paul’s attitude about his “thorn in the flesh”? How can a thorn be a “messenger of Satan”? How can a thorn be a gift from God? What should be your response to a thorn that God does not remove after prayer? Introduce the lesson: Take time for a short review of this fresh way of looking at Thanksgiving. Play Part 4 of Nancy’s teaching material. What part does God’s grace and our humility play in our ability to bear the trials and afflictions of life? Is God’s grace sufficient for all of your thorns? How do you know? If we do not have a perfect understanding of why God is allowing a thorn in our lives, what should be our response to suffering? Is God’s grace sufficient for every circumstance . . . for dealing with every difficult person? How do you know? Play Part 5 of Nancy’s teaching material. How does God use thorns (afflictions) to discipline us, to make us more dependent on Him, to keep us humble? Would you be willing to have a thorn remain in your life if to do so would protect you, keep you humble, make you dependent on the Lord, sanctify you, and make you a more fruitful servant of God? How can a Christian say, “God intended my thorn for my good”? Thorns are not meaningless. How does God use thorns (afflictions) to discipline us? Name some ways that thorns can make us a blessing to others and equip us for ministry. Encourage class members to share this unique Thanksgiving message with others. This is an excellent reminder for those who listened to the entire CD, but it is also a good lesson for those who might be visiting your small group during the holiday. Encourage the class to share “Things for which I am thankful”—the roses and the thorns. Did anyone share the “thorns” concept with others over the Thanksgiving holiday? What happened? If you wish to only play the drama CD for your small group (rather than the four-week teaching series), use the following discussion guide. Discuss the drama. After the drama finishes playing, say, “Doesn’t that give you a whole new insight into thankfulness and Thanksgiving?” Engage in further discussion, as the Lord leads, with your group of friends. You can use the discussion questions from the devotional plan as a guide. Why are thorns really gifts from God? How can seeing our thorns from heaven’s perspective change how we respond to affliction? As a small group leader, you may wish to print this page off for each member of your small group for them to incorporate into their Thanksgiving Day celebration. 1. Purchase a bouquet of roses for your Thanksgiving dinner. Cut off the roses and use the rose stems as the centerpiece. You can do something creative with the rose petals, perhaps scatter them on the table around the base of the vase or in a basket in the bathroom. Share your own personal story—be sure to keep it short and simple. Offer an opportunity to each one at the table, if they’d like, to share a “difficult thorny situation” they have or are facing at the moment. As each person shares, have each one cast their stem of thorns into the center of the table as an act that symbolizes giving this area to the Lord. End with a “Thanks”-giving prayer. 3. Take two bouquets to the hostess if you are a guest for Thanksgiving dinner: one as a thank you for hospitality, and one as an “object lesson”—the bouquet of stems with thorns—(an opportunity to explain). Start with one rose. Have everyone share one blessing or something they are thankful for. As they share, ask them to pull off a rose petal and toss it in the middle of the table. When the rose gets back to the hostess, cut off the remaining petals of the rose. Then, share the story or drama. Share your thorn story. Then, pass the rose stem around asking each to share their “Thorny Thanks”-giving story. © Revive Our Hearts. Used with permission. "Blessings of Thorns" CD available at our store. 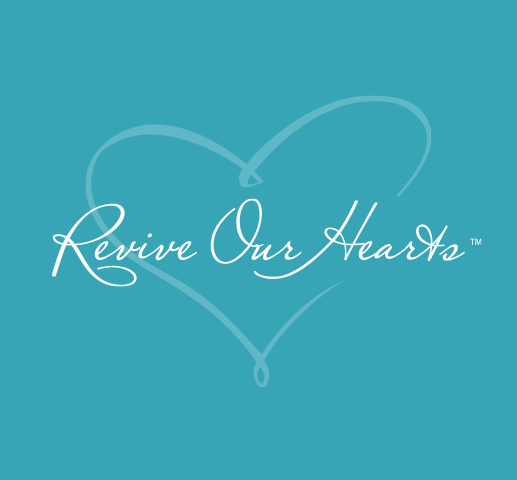 www.ReviveOurHearts.com.